A female HR Executive (the plaintiff) was taking horse riding lessons from a training company that operated at a local ranch. The ranch was a boarding facility that also provided an arena for trainers to train horses and riders. The training company and the ranch were limited liability companies with the same owner. The plaintiff leased a horse from another student, and the owner of the two companies allegedly facilitated the lease, although he received no commission or payment for his services. 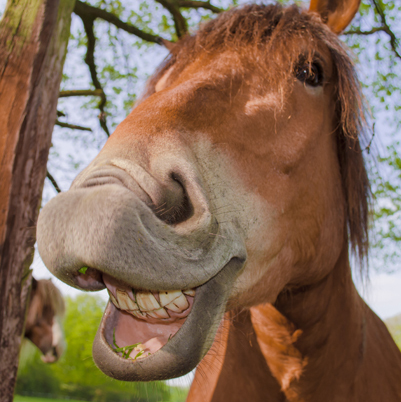 About a month after leasing the horse, the plaintiff was training with the training company when the horse spooked and the plaintiff was bucked off the horse. The plaintiff sustained a burst fracture in her spine, requiring surgery and testified that she had ongoing neurological problems. The medical bills exceeded $200,000. The plaintiff sued the ranch, the training company and the owner of the horse, alleging that the horse had dangerous tendencies that were not disclosed, including an alleged tendency to spook. The plaintiff indicated that she would be seeking up to $5 million in recovery, which greatly exceeded the ranch’s insurance policy. Smith Freed & Eberhard Partner, Kyle Riley, defended the ranch. After the completion of depositions of fact witnesses and a mediation where other parties settled, Kyle argued a motion for summary judgment seeking dismissal for lack of apparent authority, immunity under the Equine Immunity statute, and enforcement of the liability release. To argue that the ranch had the apparent authority to make representations about the horse, the plaintiff pointed out that the ranch’s website contained links to horses for sale or lease. She also had submitted the email signature of the owner that referenced the ranch and the training company, as well as a requirement in the lease that the horse be boarded at the ranch. Ultimately, the Court agreed with Kyle’s position that there was no evidence to conclude that the plaintiff had in fact relied on the ranch’s website and email signature to conclude that the owner was acting on behalf of the ranch. They also determined that the condition to board the horse at the ranch was a condition imposed by the owner of the horse, not by the owner of the ranch, therefore dismissing the ranch from the suit.